Catch a Star Collectibles edition signed by writer Scott Lobedell and limited to 5,000 copies. Includes certificate of authenticity. 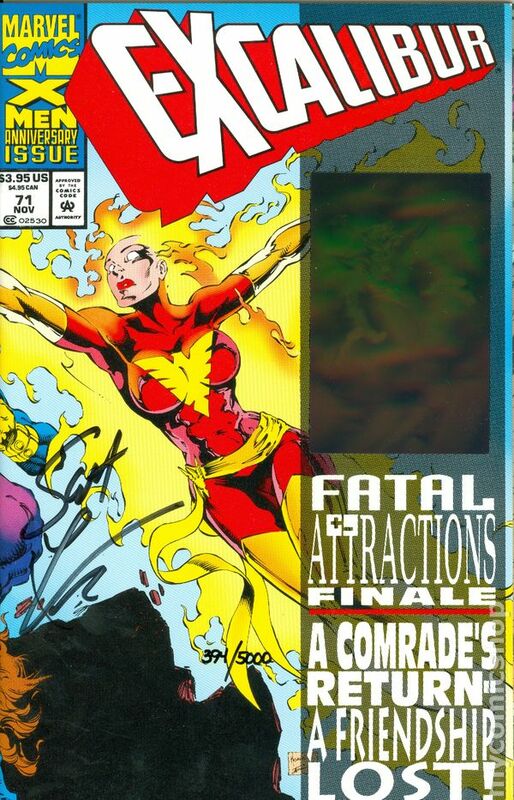 Fatal Attractions:Part 6 of 6 - Giant-size issue. 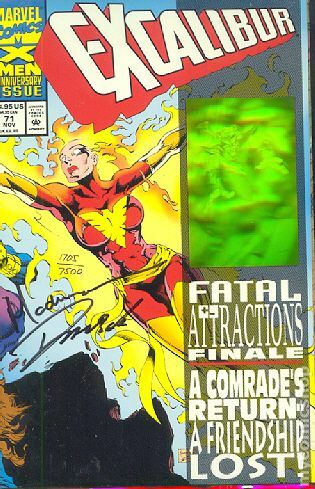 Nightcrawler hologram cover. "Crossing Swords!" Guest-starring Cable and the X-Men. Story by Scott Lobdell. Art by Ken Lashley, Darick Robertson, and Matthew Ryan. Wraparound Cover by Joe Madureira and Richard Bennett. 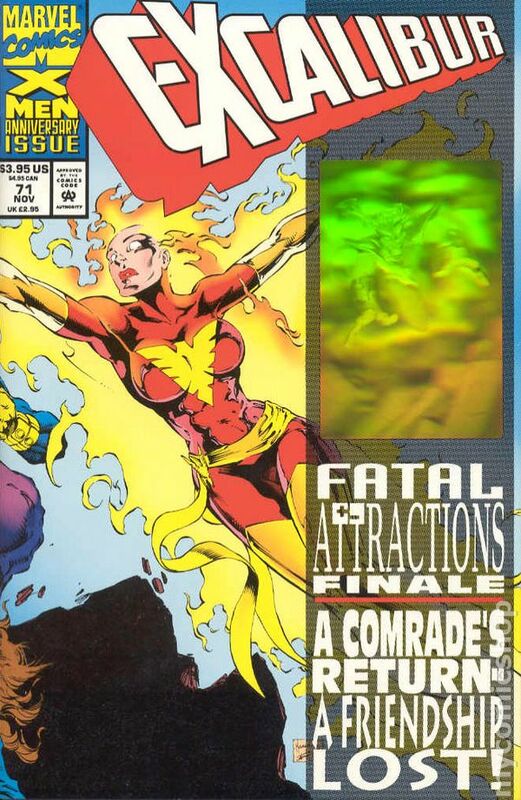 In the dramatic conclusion to FATAL ATTRACTIONS, Jean Grey, Rachel Summers, and Cable come together with explosive results. meanwhile, Colossus is confronted by the team he betrayed. Plus, a bold new direction for Excalibur. 48 pages, FC. Cover price $3.95. Dynamic Forces Signed Edition. Signed and numbered by Joe Madureira & Darick Robertson and limited to 7,500. Includes certificate of authenticity from Dynamic Forces.